Born at Winnipeg on 4 February 1937, son of Harry Henry Featherstone (c1907-1978) and Armadine Featherstone, he attended St. Edward’s School, Ralph Brown School, Faraday School, and Tec-Voc High School. After working in industry for several years, he acquired his teaching degree and taught at Churchill High School (1964-1967), and R. B. Russell School (1967-c1969) before joining Tec-Voc High School as Vice-Principal (1974-? 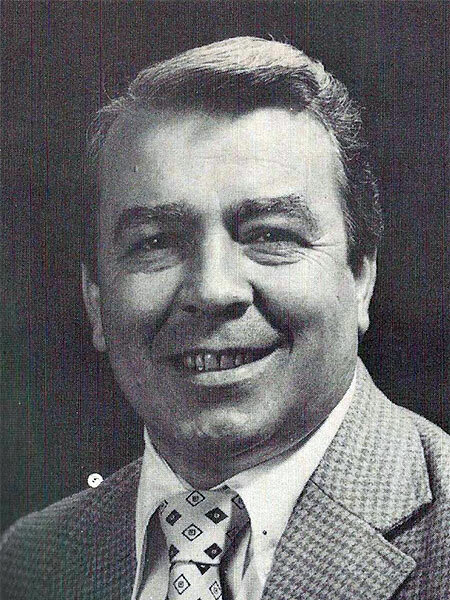 ), of which he was later the school’s sixth Principal (?-1990s). He married Barbara Anne Zeliska at Winnipeg in the Blessed Virgin Mary Church on 13 June 1959. The couple had three sons, one of whom was Daren Featherstone (c1969-1980). He died at his Winnipeg residence on 17 November 2003. “Featherstone - Zeliska,” Winnipeg Free Press, 27 June 1959, page 15. Obituary [Harry Henry Featherstone], Winnipeg Free Press, 18 July 1978, page 38. Obituary [Daren Anthony Featherstone], Winnipeg Free Press, 2 January 1981, page 26. “School divisions fear malicious enrolment ‘tips’,” Winnipeg Free Press, 29 December 1990, page 3. Winnipeg Estate file PR96-01-39450, Armadine Featherstone, Archives of Manitoba. Obituary, Winnipeg Free Press, 20 November 2003, page B7. We thank Rob Plouffe for providing additional information used here.